Demerol withdrawal varies between individuals. However, like any other opiate, symptoms are painful and can appear to be flu-like. Nausea, muscle pain, chills, vomiting, and insomnia are some of the terrible consequences for an addict. Anxiety, hallucinations, and paranoia are part of the emotional and cognitive changes that accompany Demerol withdrawal. How long does Demerol withdrawal last? The duration depends on the history of abuse. However, it has a short half-life (2-5 hours), and withdrawal occurs up to 24 hours after quitting. Symptoms, such as body aches, peak during the first 3-6 days of detox. Some rehabs offer drugs like Suboxone to cope with withdrawal. Cravings can last up to months. 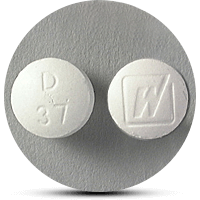 Demerol is a potent painkiller for moderate and severe pain. However, in high doses and over long periods of time, it can lead to dependency and addiction. Many people who have been prescribed the drug develop tolerance. As a result, they begin to lie about their symptoms or try to obtain someone else’s prescription to get the drug. Furthermore, many people abuse the drug due to its recreational properties. It is because like any other opiate it can lead to pleasant sensations and relaxation. As a consequence, people distribute Demerol illegally on the streets. It can ruin families and cause death. After cessation of the drug, users experience different withdrawal symptoms. Withdrawal is not so dangerous in comparison to other opiates. For this reason, users might relapse as a result of the combination of withdrawal symptoms and the reoccurring pain. In addition, Demerol can lead to anxiety, hallucinations, and paranoid thinking. This can be dangerous not only for the user but the people around them. Some rehabilitation centers offer alternative medication, such as Suboxone or Subutex, to deal with withdrawal, pain, and cravings. The duration of Demerol withdrawal is also individual. Therefore, it depends on the history of abuse and the presence of any comorbid disorders. The drug has a short half-life (2-5 hours). As a result, the first signs, like headaches and anxiety, usually begin approximately 24 hours after the last dosage. However, some users have reported a withdrawal only a few hours after cessation. Physical symptoms peak in the first few days after the last dose and 1-2 weeks later begin to fade. Therefore, emotional and medical support is crucial during this period. Cravings and paranoid thinking should also decrease after the first month of detox. In addition, that’s the time to seek after-care. Demerol addiction can cause a lot of pain to the addicted individual. Although going through all the withdrawal symptoms seems impossible, detox is still the first step towards a happier life. In any case, one can quit cold turkey or lower the dosage slowly. They do not recommend quitting cold turkey, especially in the absence of a health professional. It can result in a shock to the body and can lead to a relapse. For this reason, tapering down is a better and more manageable way to quit. Even so, it can take more time and therefore, a lot of patience. However, the payoff can be worth the wait. As mentioned above, there are many different medications for someone who has chosen a clean life. With or without substitutions, doctors recommend staying in a rehabilitation facility. Instead of trying to cope with withdrawal symptoms at home, in a rehab, you can also get medical help. A very underrated part of rehab is the emotional support. Physical detox should be accompanied by psychological counseling and behavioral therapy. It is because addictions can be triggered by different social, family and emotional problems and some soul-digging might be needed. After-care can also be necessary to lead a healthy life. Furthermore, family therapy can help people restore their family and home where they can be given love and support.